Rob Cohen’s latest action film is a case in point about how sometimes perfectly fine films can bomb at the box-office. 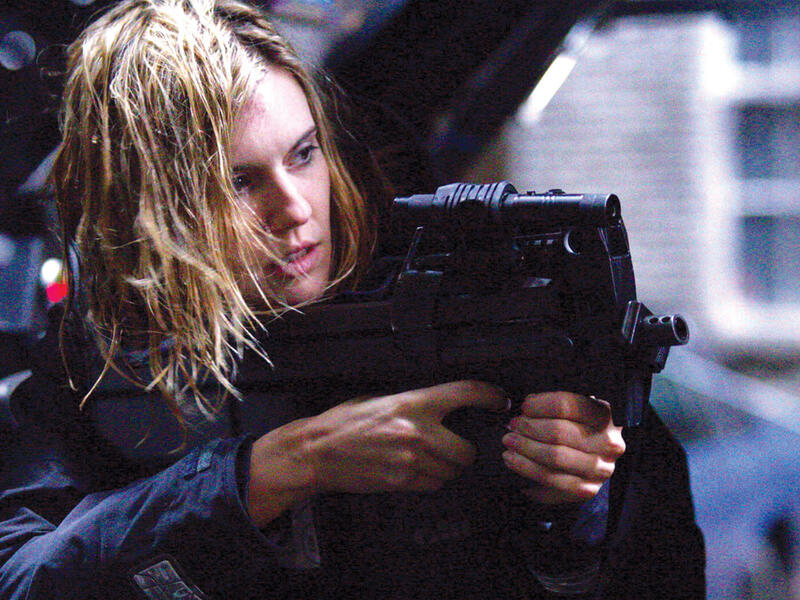 With a name like The Hurricane Heist, the film certainly doesn’t do itself any favours, and the cast, though very good, are relatively unknown. There are memorable cases of classics going up in flames at the box office: I suspect that last year’s dreamy, transcendent space opera Valerian and the City of a Thousand Planets directed by the truly great Luc Besson will figure in the future as one of the major sci-fi classics of our time. Not that The Hurricane Heist is a classic in any real sense, it’s just a decent action flick. Better than most in fact, that ought to keep spectators suitably rapt in their seats as the clever premise unfolds. A category five hurricane is unfurling in rural Alabama, treasury agents led by the charming, immensely likable Maggie Grace as Casey Corbyn, are transporting $600 million worth of old bank notes to a federal facility to be shredded, two brothers who lost their father in the last big storm are trying to make amends, traitors lurk in their midst – and everyone gets caught up in both the hurricane and the heist as the world goes to pot. The younger of the aforementioned two brothers, Will Rutledge (Toby Kebbel), is now a meteorologist in a nod to his tragic past, and as he and Casey serendipitously cross paths, they team up to face grim odds and one really vicious villain to save the day. What makes this film durable throughout is that it doesn’t follow the usual trajectory of action movies these days, and it thankfully does not wallow in a long fight right at the end. Grace and Kebbel are great as action heroes, their chemistry together is strong and Grace in particular is a star in the making. While I do not mean to damn this film with faint praise, I will say that although I thoroughly enjoyed it, do not expect any thing more than an action filled ride with lots of surprises and special effects that show what a nightmare a natural disaster like that can be. So, while Deadpool 2 is still in theaters here, save your money by settling back into the comfort of your home screen and relax into a few hours of pretty good entertainment.